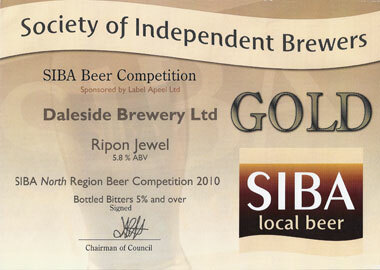 Daleside Brewery was founded in the mid 1980s by a family with a brewing tradition stretching back more than 600 years. 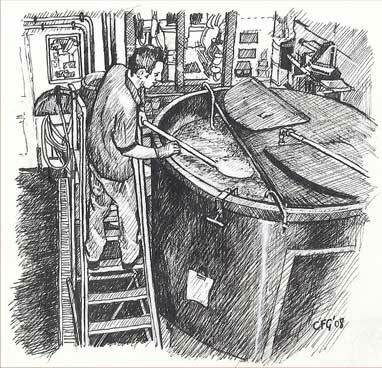 It is from this long tradition that we draw our time tested expertise and methods of brewing quality beers. The brewery is based in Harrogate, a Victorian spa town, famous for its healing waters, on the edge of the beautiful Yorkshire Dales National Park. 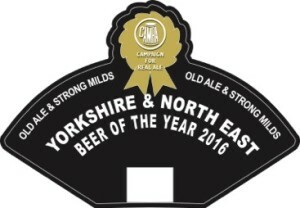 Our beers, both casked real ales and premium bottled beers have achieved wide recognition, repeatedly winning international, national, regional and local awards. We moved to our present premises at Starbeck in 1992, and it is from here that we continue to expand both our product range, without compromising quality, and out national and international distribution. We supply cask ales to the free trade in the UK and bottled beers to all leading UK supermarkets and many specialist beer wholesalers and retailers; our overseas markets include USA, Canada, Australia, Denmark, Sweden and Spain. Daleside Brewery was established in the mid-1980s and moved to the present larger premises in 1992. 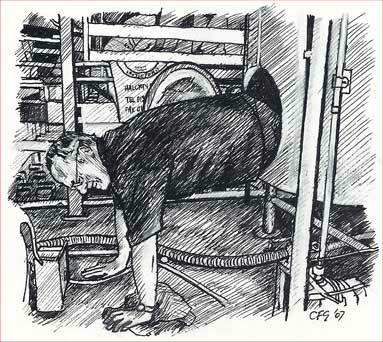 In 1995 and 1999 further premises expansions took place and in June 2000 brewing was halted whilst new equipment was installed and the whole brewery re-organised. Craig Witty joined the Company in 1991 and is now Head Brewer at Daleside Brewery. Daleside‘s beers, both real cask ales and premium-bottled beers, have achieved wide recognition repeatedly winning local, regional, national and international awards. Eric Lucas joined the Company in 1993 and is now the Managing Director. Daleside supplies cask ales to the free trade in the UK and bottled beers to all the leading UK supermarkets. In addition Daleside beers are now finding markets abroad in the USA, Canada, Australia, Denmark, Sweden and Spain. The use of the best quality malts, whole-leaf hops, Daleside’s own yeast, Harrogate water, the adoption of the full traditional brewing process together with the pride and expertise of the family tradition secure. Adhere to the best traditions of English brewing. Stimulate a wider knowledge and appreciation of quality brewing. Produce a varied range of excellent and consistent ales. Maintain the quality of our beers. Enhance the enjoyment of beer for the discerning customer. We produce a range of quality ales which are individually distinctive in taste, strength and colour. We maintain a generous brewing capacity so that we can respond both to peaks in demand and to the specialised requests of customers we provide advice at any time on any aspect – range, care or dispense – of our products. We never compromise quality for speedier production. We never ‘cut corners’ in the brewing process. All of our cask ales are live, unblended and ‘real’. In bottling we take care to maintain flavour, colour and strength (whilst giving a reasonable shelf life). We always use the best quality ingredients; top quality malts and full leaf hops. We never use pellets, sugars, drops, hop oils or malt extracts.